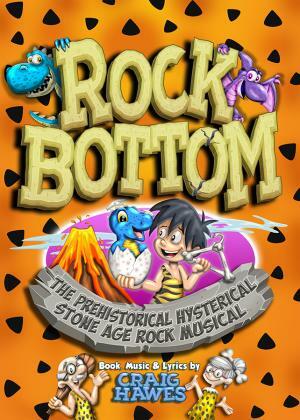 Journey back to the dawn of time in "Rock Bottom" - Craig Hawes' brand new prehistorical hysterical Stone Age rock musical! A cast of crazy cave folk join in the neolithic naughtiness, not to mention a flock of prehistoric birds, two dippy dinosaurs, a vacuum-cleaning mammoth and a sabre-tooth tiger called Tiddles! With eight toe-tapping songs to get you rocking like a rolling stone and a puntastic script as sharp as a flint, one thing's for sure - the Stone Age rocks!